IP contact centres, and in particularly unified communications (UC), have been getting a lot of hype over the past couple of years. 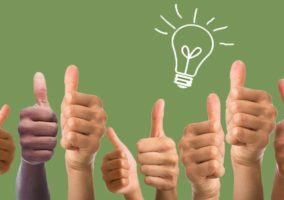 We have asked our panel of experts for what they consider to be the main benefits of an IP contact centre. During the five years I have been covering the contact centre space, I have seen deployment of VoIP-based contact centres increase from around 30% to just over 50%. It seems this growth is likely to continue, as my latest research shows it is still one of the top three investments companies plan to make in the next two years. The research shows this growth has been driven by one thing and one thing alone – it enables companies to save money on their network and telephony costs. VoIP allows companies to transmit voice and data over a single network and once in place, making calls over the network is free. The clearest example of this is Skype. This provides telephony services over the internet and, as millions have discovered, they can now call other Skype users free of charge, and what is more than can do it from their laptop. The latter is particularly effective since once home-based agents have broadband installed, they become part of the “virtual” network and can operate pretty much in the same way as they can from within the main centre and there is no additional networking charge. Generally speaking, companies can make a business case for transitioning to VoIP based on these cost savings without considering the other benefits provided by VoIP. My research shows it is left to a small minority (7%) of innovative companies that have deployed integrated voice and data services (typically based around speech to text and vice versa), 6% have used it to support additional channels of communication such as Instant Messaging and Video-based services, while a tiny 4% have implemented advanced, innovative customer services (typically taking advantage of the increasing number of devices that support SIP and so can be used to control telephony functions). All of this begs the question as to the future of Unified Communications. Once you strip away the hype around UC, it is basically VoIP with added features. They key benefit in the contact centre space is what is called presence. Within centres today, agents log-on and log-off the system, so the system knows which agents are present and can therefore identify which agents are available should an agent need to transfer a call. UC extends this concept across the entire “virtual” network so agents can be given the option to transfer calls to knowledge workers outside of the formal contact centre. The system can also be programmed with the skills of different people present and so should allow smarter call transfer to the person most likely to resolve the customer issue. Once this initial wave of cost-saving deployments of VoIP slows down and companies begin to investigate what other benefits VoIP and UC can bring, then we should see more of what should be the ultimate goal of deploying advanced technology – better customer service and better customer experiences. A problem for many traditional contact centres is that they’re just not geared up to deal with the ever-expanding range of technologies and devices – from PC and Smartphone-based services such as email and web chat, to mobile phone services such as SMS and Instant Messaging. That’s where the latest generation of IP contact centres can help. Putting the clever technology and complex technology acronyms to one side, these new platforms take advantage of the inherent benefits of Internet-based ways of working to serve customers better, cheaper, faster and more effectively. 1. Voice and data convergence: By moving to a single converged network for voice and data traffic, organisations can save on network maintenance and administration, equipment, software, management and operational costs. An IP contact centre attached to your IP network simply becomes another resource to maintain – just as you would your storage and data servers – although care must be taken not to underestimate the skills and knowledge required to maintain such a system. 2. Unified multichannel communications: Advanced IP contact centre products will not only support customer communications via a wide range of channels (from phone to email, IM, SMS, video calling, etc.) but also provide Universal Queuing so that ALL incoming contacts can be queued together. 3. Virtual contact centre working: Because of the distributed nature of internet working, organisations can set up multi-site ‘virtual’ contact centre networks with all their IP contact centre resources and management systems located at a single site. This makes it easier to set up large geographically dispersed operations and simpler to maintain real-time control over them. 4. Enhanced flexibility: Rather than go into several systems to perform functions such as ‘moves, adds and changes’, IP-based systems enable supervisors to enter data just once to update multiple data stores. With data sources typically easily accessible via open interfaces, reporting is also more feature rich. 5. Support for existing equipment: With IP-based systems you don’t necessarily need to throw away your old ‘trusted’ systems and start again. IP contact centre systems frequently work alongside existing PBXs and data systems. 6. The ability to engage knowledge agents: By using the presence, IM and conferencing capabilities inherent in products such as Microsoft Office Communications Server, contact centre agents can, during a call, identify external knowledge workers with the skills and availability to assist them in resolving a customer query, and instantly engage them – so boosting the chances of a first-call resolution. 7. Flexible working support: Setting up contact centre agents to work from home (or on the move) is much easier using IP-based systems than with traditional call centre systems. In theory, all home and mobile workers need is a high speed internet/broadband connection, a PC and a telephone/softphone/smartphone to handle calls – with managers and supervisors able to monitor them just as easily as any other office-based worker. Flexible working offers many advantages to businesses, including the ability to recruit from a larger labour pool, extend opening hours, reduce operating costs and office space, and reduce attrition and absenteeism. 8. Support for advanced features: IP contact centres will typically support a range of advanced features. Macfarlane’s CallPlus IP contact centre platform, for example, supports: Automatic Contact Distribution using Skills Based Routing and other routing rules; Automatic Telephone Callback for voice, email, SMS and Web form contacts; Fully automated IVR with flow charting; Call Recording, Retrieval and Playback with Supervisor Monitoring; Computer Telephony Integration; Real Time and Static (historical) reporting; Workforce Management; Customer Survey & Consultative Forum; Lone Worker monitoring; and Web-based management. VoIP has been a hot topic for many years with call centres discussing its benefits and considering deployment. While the cost-saving benefits of VoIP were appealing, call centres were not as quick to roll it out because of concerns around the sound quality and how it would affect customer service. The technology has since advanced, and continues to do so all the time with the rise of Unified Communications driving its development. Cost saving: VoIP cuts costs in two key areas – communication and infrastructure. Voice communications are transmitted over data networks, cutting out the need for costly traditional telephony where calls are generally billed per minute or second. As phone calls are routed over existing data networks the need for separate voice and data networks is eliminated, also cutting down the time spent on IT support. Flexibility: VoIP offers call centres scalability and provides an easy platform which adapts and grows along with the business. Some large call centres are taking advantage of this flexibility and setting up operations in a main office, with operating call centres and home workers in many locations around the world. UC-ready technology: Implementing VoIP is, for many call centres, the first step towards rolling out a full Unified Communications (UC) solution. UC is the integration of voice (telephony) and data (email, instant messaging) and streamlines a company’s communication, allowing for greater productivity and efficiency and reduced costs. Headsets have played a key role in realising the full benefits of IP telephony. VoIP technology sends information using twice the bandwidth of traditional telephone lines, which allows for a much clearer, richer sounding conversation. Improved sound helps to improve customer satisfaction of call centres as customers and agents are being heard and understood properly and without straining to hear. Ensure your network is ready for IP telephony: In order to reap the full benefits of a VoIP solution your network must have the speed and capacity necessary to carry voice. Build for the future: Ensure your technology has the ability to be flexible and offer a complete solution. Many call centres are currently installing solutions which are able to offer traditional and VoIP telephony. Don’t forget security: Most IP telephony systems are supplied with built-in security and it is important to develop clear rules and procedures on how networks are being used and secured. Choose the right headset: A quality headset is just as important for those using traditional telephony systems as it is for those using VoIP technology. Clear, crisp sound leads to quicker call resolution and ultimately, a more satisfied customer. Many legacy contact centres rely on the traditional “digital telephony” methods to deliver calls to its agents. The technical term for this transport method is time divisional multiplexing (TDM). A bit of a mouthful, but it’s been delivering consistent and stable communications to our industry for over two decades. With the advent of internet protocol based telephony or IP Telephony, IT departments and contact centres alike have the opportunity to use a more modern way of delivering calls. But what are the real issues associated with this new-fangled way of communicating? IP Telephony has come a long way since its inception in early 2000. One of the biggest benefits of IP telephony is what I coin the “martini” effect. Essentially, with IP Telephony, anyone in your business can take a call anytime, anyplace and anywhere. Because of the ubiquity of the IP standard, your business can transcend your office and deliver business-grade communications to virtually any point in the world, with little or no additional investment. This is something that TDM-based systems simply cannot do. It is important to note, however, that many TDM systems can be upgraded to support both TDM- and IP-based telephony, thus giving you the best of both worlds. The opportunities of a “call centre without boundaries” can have contact centre managers tremble with excitement or with dread. For those with excitement, it means unlocking a completely untapped resource pool. Single parents, the handicapped, or the far-flung employee can now work for their company, with little more investment than a broadband connection, a laptop and a headset. For those with dread, it’s the worry of managing those employees and controlling their working day. After all, if they aren’t in the office, how can you be sure they are working? The good news is that there are plenty of ways to introduce good management information into your business which will allow your remote agents to feel “connected”. There are real-time management tools, instant messaging capabilities, as well as instant access features that allow your agents to quickly get in touch with those people they need to speak to. Another benefit to contact centres is the ability to provide a simpler deployment from a technology perspective. Traditionally, for each contact centre agent, there would be two distinct types of “wires” hitting the desk, one for the phone, and one for the PC. 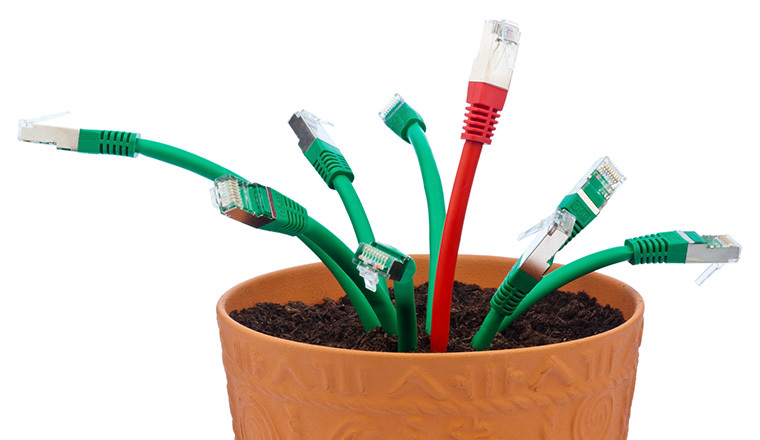 With IP-based contact centres, one wire will handle both. This could reduce the investment effort for Greenfield sites. However, a major con to IP contact centres, as well as IP telephony in general, is the stability of the infrastructure. Voice communications is the most real-time communications medium we use (excluding face-to-face). We can handle a scenario of your emails not getting through, or your web browsing being a little sluggish. But that will not do for your voice. If a contact centre loses their voice, they are essentially off the air; potentially losing vast sums of money for their business. An IP-based contact centre is only as good as its weakest link, and historically, that link has been its LAN infrastructure. Thankfully, the LAN technology has risen to the challenge over the years, and today’s network products, along with more stringent policy and rules surrounding network design, have dramatically improved the performance of those networks, resulting in greater reliability. This in turn has given many managers the comfort to take the leap and deploy IP telephony into their contact centres. Let’s not forget that these benefits are not only for the contact centre. The entire enterprise benefits from the features listed here. It allows companies to operate virtually, allowing employees from all over the world to communicate seamlessly. It can enable your contact centre to manage different physical locations more effectively by consolidating their services. Every location can provide a consistent experience in terms of services and applications; in the world of TDM, each system might have behaved differently and thus different services would have been available in one location and not in another. Perhaps the most interesting of the benefits of IP telephony in the contact centre is the potential for new products and applications to be developed. One of the strengths of IP telephony is it’s open standard. By and large, most IP systems can communicate with each other, which opens the doors to generic handsets, out-of-the-box compatibility with specific applications, easier data and information exchange and a range of other call-centre-specific applications. This I believe is the most exciting area for contact centres. Of course, all of this comes with a price. For those centres with major TDM investments already in place, it might be impractical to pull everything out and start again. The good news is that all major manufacturers have a migration path for businesses serious to pursue the IP telephony route. The question is, are the features and benefits listed here enough to commercially make sense for your operation? For broadband generally and for multi-country home working the jury is still out in my opinion on the speed and reliability of the connection particularly when feeding data and voice through the same pipe. Broadband speed and availability is sporadic even in the UK and you are unlikely to be able to establish SLAs with ISPs. Can anybody convince me otherwise?